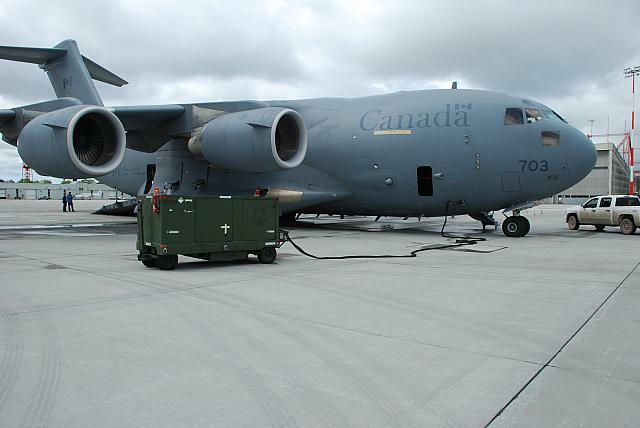 The PFA-50 is a self-propelled versatile military loader/transporter that can service a variety of both military and commercial aircraft, including the C130, C17, C5, IL76, A400M, B-747, A330 MRTT, KC-390, KC-135 and DC-10/MD11. 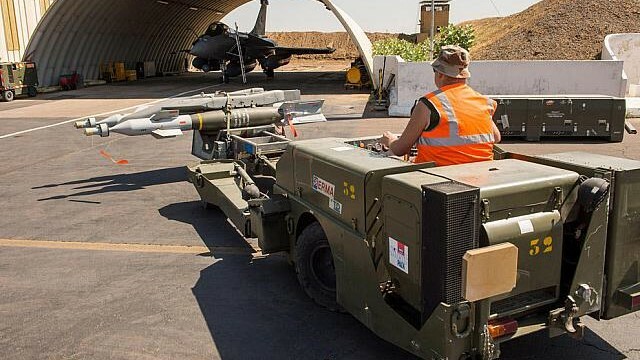 For easy and fast deployment, the PFA-50 is air transportable and easily self-loadable into the C- 130, A400M, C17 or C5 aircraft (KC-390 to be confirmed). 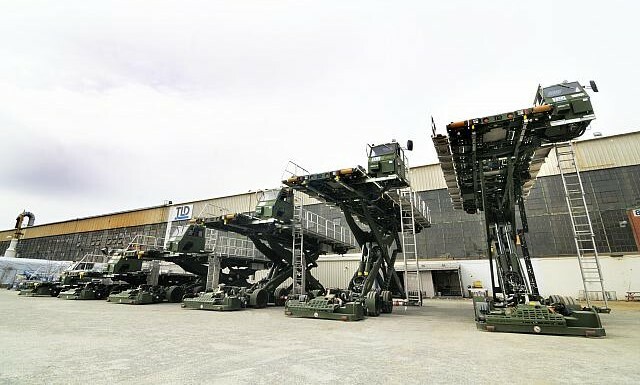 The Unit can transport its load at speeds up to 15 mph and lift from 39 inches (990mm) up to 19 feet (5.8m) a maximum payload of 50,000 lbs, in any combination of military pallets (463L – 88″ x 108″) or rolling stock. 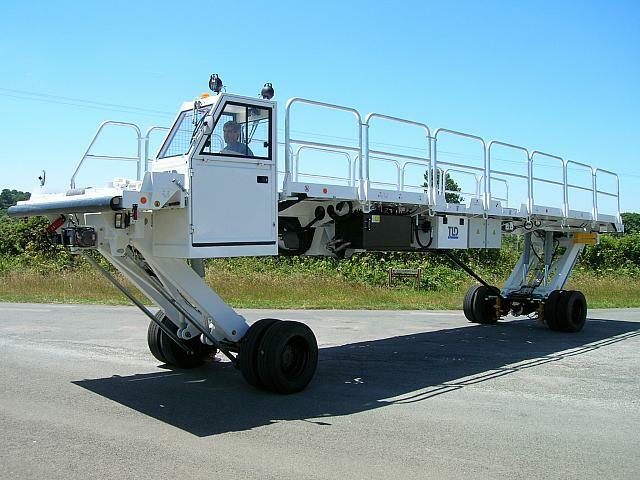 The PFA-50 deck has pitch, roll, yaw and side-shift adjustments for quick and efficient interface with the aircraft, and employs a powered conveyor system to move cargo. The innovative, simple and rugged design of the PFA-50, offering high ground clearance and light weight, is perfectly adapted to the worst military field conditions and rapid reaction deployment. The ACE-802-329S and ACE-802-392S are self-contained, trailer mounted, diesel engine (or Electric Motor) driven air conditioning, ventilating, and heating units, designed to satisfy the requirements of all present new generation commercial aircraft as well as most military aircraft. The units also feature a dehumidification function (Reheat) usable on all three modes of application, which is especially valuable for electronics cooling applications. The cooling is provided by a screw compressor that features a slide valve for infinitely variable capacity control and uses environmentally friendly R134a refrigerant. They have many available options, affording extreme flexibility in operation, satisfying most aircraft requirements throughout a wide range of ambient extremes. Thousands of military and commercial ACE-802 units are currently in service worldwide. 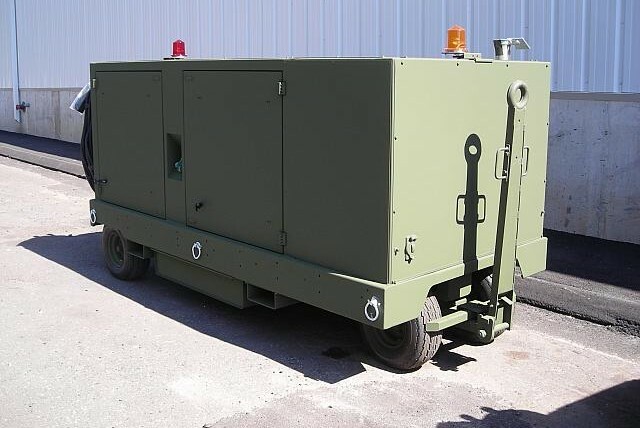 The ACE-814-924S is a compact, self-contained, trailer-mounted, diesel engine driven Liquid Coolant Supply (LCS) Cart designed to supply chilled EGW coolant to the aircraft liquid coolant loop for the purpose of removing the electrical heat loads from the avionics liquid cooling subsystem of surveillance aircraft. Using R-134a refrigerant, the ACE-814-924S is environmentally “safe” causing no damage to the atmospheric ozone. The units employ a liquid to liquid refrigeration system. The mobile cart is designed to service the Boeing E-3A Sentry A.W.A.C.S. (airborne Warning and Control System), the E-6A Tacamo, and other similarly equipped aircraft. 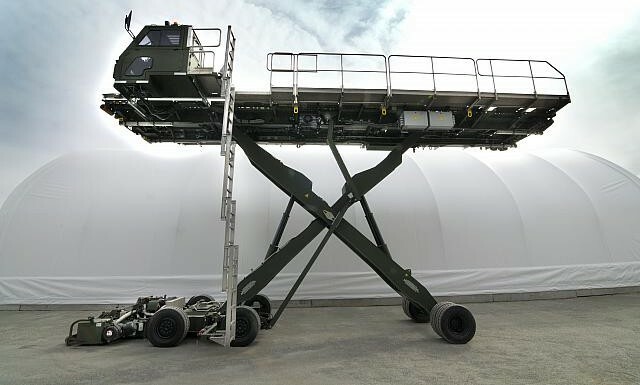 The cart is compact and lightweight, easily maneuvered around aircraft and other GSE, and permits economical air deployment as it is C-130 transportable. An illuminated control panel is provided for night time operation. The ACE-814-994S is a compact, self- contained, trailer-mounted, electric motor driven Liquid Coolant Supply (LCS) Cart designed to supply chilled EGW coolant to the aircraft liquid coolant loop for the purpose of removing the electrical heat loads from the avionics liquid cooling subsystem of surveillance aircraft. Using R-134a refrigerant, the ACE-814-994S is environmentally “Safe” causing no damage to the atmospheric ozone. The units employ a liquid to liquid refrigeration system. 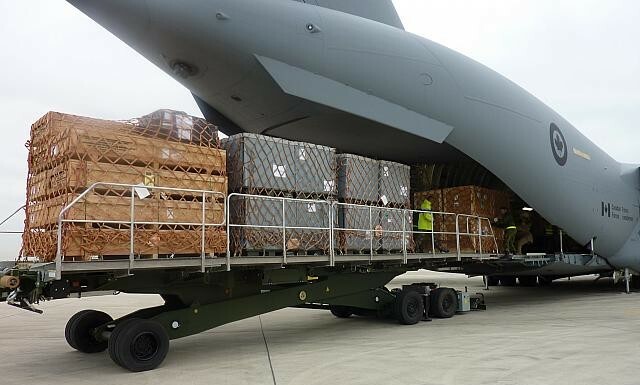 The mobile cart is designed to service the E-3 AWA CS (Airborne Warning and Control System), E-737 AEWC (Airborne Electronic Warning & Control), the E-6A TACAMO, and other similarly equipped aircraft. 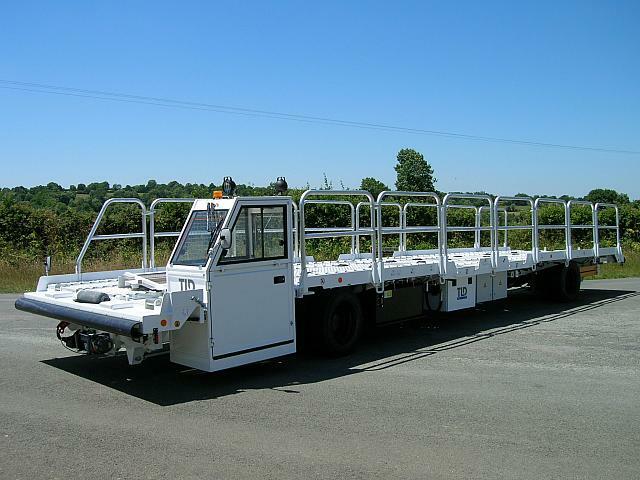 The cart is compact and lightweight, easily manoeuvred around aircraft and other GSE, and permits economical air deployment as it is C-130 transportable. An illuminated control panel is provided for night time operation. 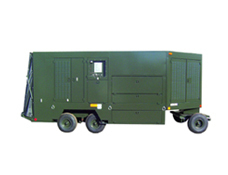 The ACU-401 Series is a self-contained, trailer mounted, Air Conditioning and Ventilating unit designed to satisfy the requirements of many military fighter aircraft, such as F14, F15, F16 and F18, as well as other applications requiring pre-conditioned air at approximately 3 to 5 psig. 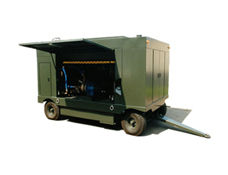 The ACU-401 can be powered by either its own diesel engine generator set or can be connected to utility power. A vertical screw compressor that features a sliding valve for step-less linear capacity control provides the cooling. The ACU-401 Series has many features providing extreme flexibility in operation and satisfying aircraft requirements throughout a wide range of ambient extremes. The ACU-401 is a high performance machine. The ACU-804-MIL Air Conditioning Unit is an extension of the standard ACU-804 product line. 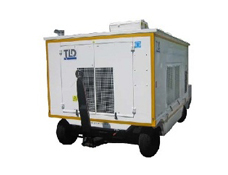 It is a self contained, fully portable air conditioning unit suitable for single or dual connection aircraft operating in high ambient temperature environments. 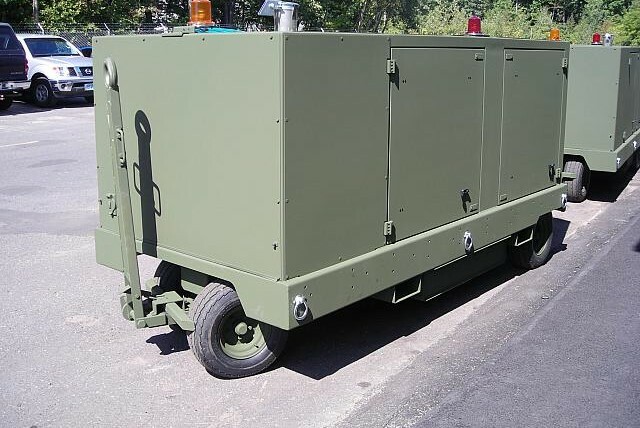 The ACU-804-MIL has been specially designed to deliver 50°F or cooler air in a 140°F ambient condition. This is sufficient to achieve and maintain comfortable cabin temperatures on any narrow or medium bodied aircraft in any climate. 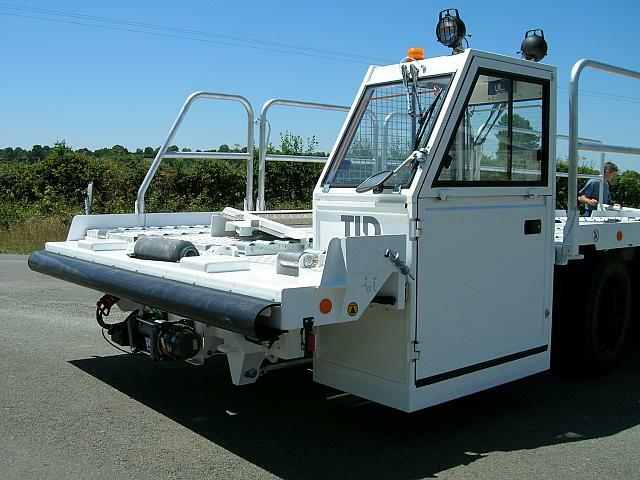 The simple, but rugged design, is targeted towards ease of maintenance and reliability to support operations in high ambient conditions. The TLD Direct Drive Technology minimizes components and enhances reliability and increases efficiency by driving the compressor and blower directly from the diesel engine. The large and efficient condenser fan is powered by a simple hydraulic system to provide years of reliable operation. The ACU-804-MIL utilizes a specially designed blower optimised for use on military aircraft (non-fighter). 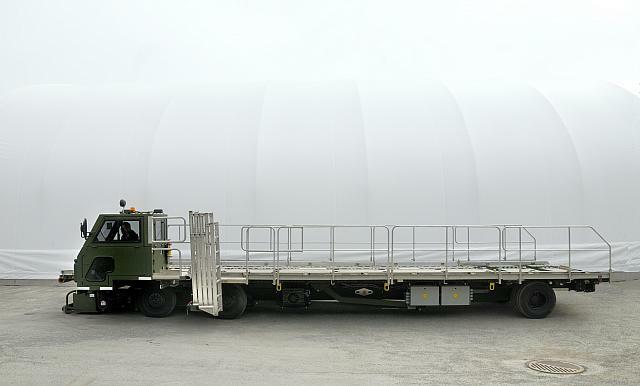 The unit is crafted using commonly available commercial, off-the-shelf components, that lesson the logistics effort required to field and supports this product. 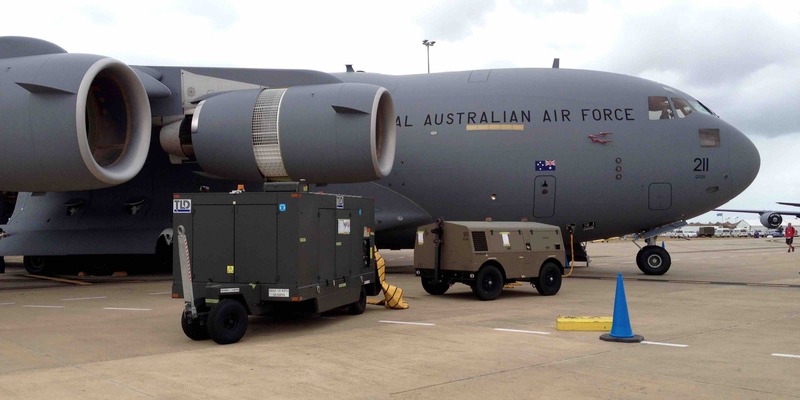 The GPU-4000-MIL Series 400 Hz are Ground Power Units designed to power all military aircraft requiring 400 Hz power such as C-130, C17, KC-10, C-5, F16, F18, Tornado, Typhoon and Mirage. 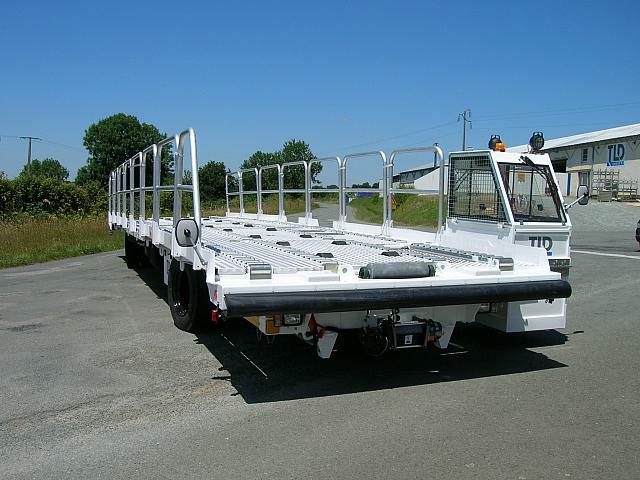 They feature a brushless revolving field generator, rubber torsion axle-mounted chassis of rugged galvanized steel construction with fifth wheel steering and powder-coated aluminum panels. The units meet US and EURO emissions. The lifting mechanism with a lift boom that can be orientated, and a manipulating head. The manipulating head is located at the upper end of the lift boom, and is capable of limited but accurate lateral and longitudinal motions, as well as tilting and yawing motions. MBL-30 is air transportable and self loadable into the C130, C160, A400M, CASA 235 military aircrafts and most of other “high wings military type aircrafts. The rugged design of the MBL-30 is perfectly adapted to the worst military field conditions and rapid reaction deployment. 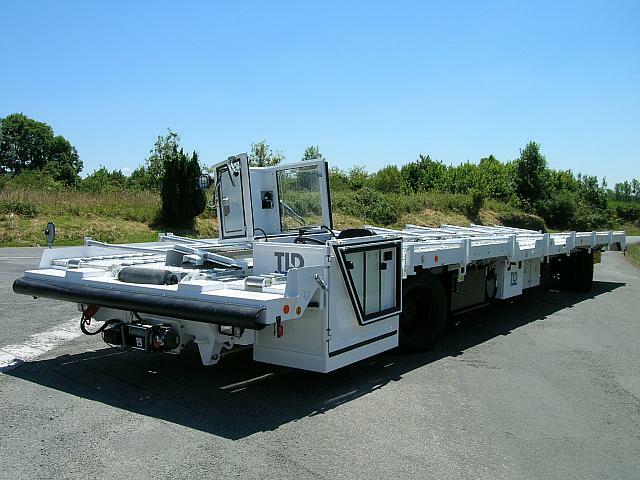 The PFA-25 is a military aircraft loader and transporter. 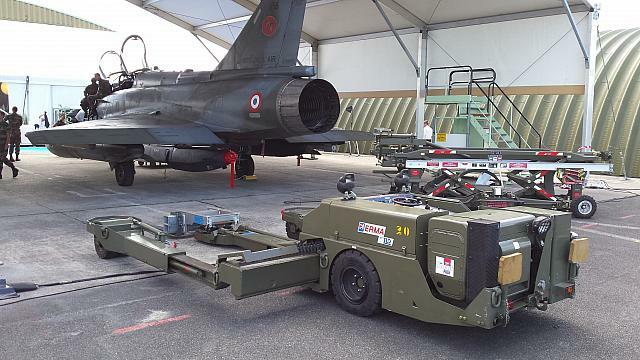 The PFA-25 is self propelled and self loadable into the military aircrafts for which it is designed. 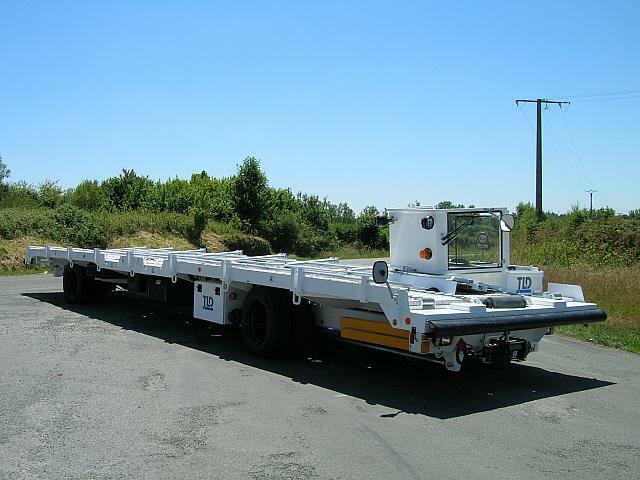 The PFA-25 can carry a maximum 5 military pallets (463L-88″ x 108″). The PFA-25 can serve the C130, A400M, C17, C27, IL76 and most of other high wings military type aircrafts. The rugged design of the PFA-25 is perfectly adapted to the worst military field conditions and rapid reaction deployment.